My name is Sylvain Tihon, I’m from Belgium. I am a young architect, a passionate traveller, adventurer, and explorer of the World. 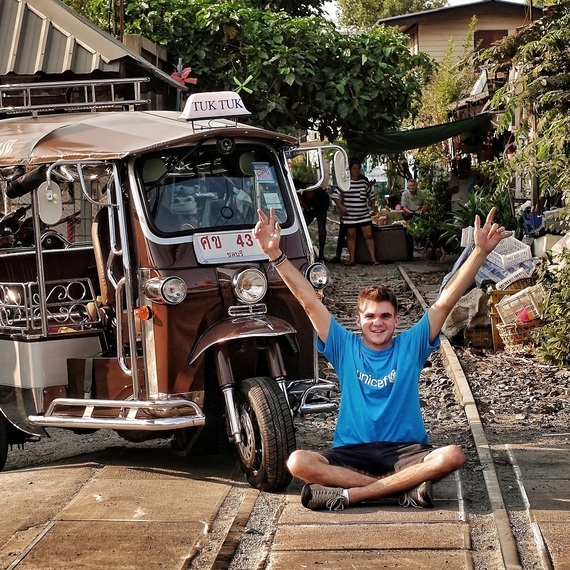 In February 2019, I’m starting a solo expedition driving a TUKTUK from THAILAND to BELGIUM: 20,000km through some of the most extraordinary terrains on our planet (check out the adventure here : Instagram, Facebook). As I’m very passionate about architecture, this is an opportunity of a lifetime to mix my passion with an inspiring project: raising awareness and funds to provide children with a safe home (UNICEF program: Protection). My goal is to visit diverse projects in relation to Child protection and the notion of home throughout the 18-plus countries between Thailand and Belgium. "Every child has the right to belong somewhere and grow up in a safe, loving, and inclusive environment"
Millions of children worldwide experience the worst kinds of rights violations. Many more, not yet victims, are inadequately protected against them. A child cannot be brought up in such an environment. "Giving a child a sense of protection is giving a child a home. " Let us do a little part and try to make a big difference in bringing them a safer environment to grow. Together, let’s make it possible! Donate, like, share ! 5 000€ provide essential material for emergency Child Friendly Spaces (CFS): 45sqm tent, tarpaulin sheets, early childhood development kits, recreation kits.. Because CFSs can be established quickly and respond to children’s rights to protection, CFSs are typically used as temporary supports that contribute to the care and protection of children in emergencies. 10 000€ provide access for 30 children to a Makani center in Jordan for 1 year. In Makani (“my space” in Arabic) centers, Syrian refugee children are offered learning support services, lifeskills and community-based protection services. The program aims to promote and contribute to children’s full development and well-being – physical, cognitive, social and emotional. 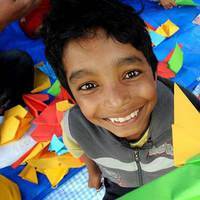 20 000€ provide rescue and rehabilitation of 90 exploited and/or trafficked children in Nepal. This includes emergency support (shelter, counselling, medical care and legal aid) while the child’s family is traced and assessed and a long-term response is being arranged.